Time for an experiment: put yourself in the shoes of a potential customer and search for your car dealership on Google using the most natural query you can think of. What do you find, instantly? Does your business reside at the top of the search listings (natural or pay-per-click)? Or do you instead find a bunch of your competitors? If it’s the latter, you’ve got some work to do. Competition online for car dealerships is fierce. Within one town or region, it isn’t uncommon to have several dealerships attempting to shout louder than one another, and when it comes to Google searches, this presents something of a perilous battleground on which to tread. 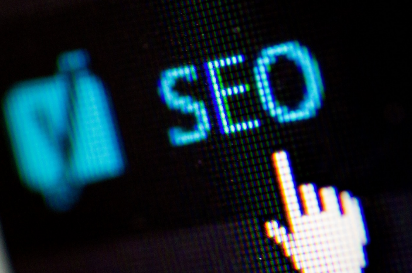 Search engine optimisation (SEO) has always been vitally important to car dealerships, but against today’s fast-moving, mobile-first backdrop, and with a consumer base that is increasingly tech literate, the process of tuning your website for maximum visibility online is more important than ever. The ability for internet devices such as smartphones to precisely locate themselves has given rise to a new method of website optimisation, known as ‘local SEO’, and it’s vitally important dealerships understand how to apply its principals to their websites. Local SEO refers to a number of best practices that help position a website for maximum visibility in location-specific searches. For example, if someone searches ‘car dealerships in Manchester’, the websites that have invested time in local SEO are more likely to appear towards the top of the results page. Likewise, clever search terms that rely on a device’s ability to recognise inference, such as ‘car dealerships near me’, rely on finding websites that place significant importance on the business’s locality. For proof that search giants like Google now take local searches very seriously, look no further than your own smartphone, which is likely to request permission to review your location whenever you carry out a web search. Targeting a wide, distant audience has long been the goal of traditional SEO, and for many sectors it’s a practice that’s still relevant. However, for certain industries, the emergence of local SEO as a recognised marketing technique is very welcome indeed. Car dealerships are a perfect example. With clients typically local to the business itself, the ability to precisely target them online is a real boon for this trade. The difference between someone searching on a national scale and another searching on a local basis lies in engagement; the latter is likely to be far more engaged as they hunt for an answer. Local SEO traffic is also generally of a far higher quality, as visitors are more likely to reside within the business’s target area, thus removing one potential barrier to starting the sales process. Google My Business. It’s now vital that your dealership is correctly registered on Google’s business directory. Formerly ‘Google Places’, this is now known as Google My Business. Website content. The usual SEO good practices apply here (plenty of unique content, fewer static pages, etc), but make sure that you communicate the locality of your dealership throughout the copy of your website. Tell the story of the business and reference its home town regularly. One of the most important ranking factors when it comes to local SEO, citations are simply mentions, with or without a link, of your dealership and its location on third party websites. Most commonly, these will be directory listings such as www.yell.com. Investigate and sign up to as many as possible. Online reviews. Google likes positive reviews, and if it spots plenty attributed to your dealership, there’s a good chance your local search performance will increase as a result. The most convenient place for reviews to reside is on your Google My Business (see point 1) listing, so make it the sale’s team’s last job to encourage new customers to leave reviews there. Online search is changing – rapidly. By 2020, it’s predicted that fifty percent of all searches will be carried out by voice, and with that, there’s likely to be an even greater emphasis on local SEO. People are now searching with natural language and an understanding of their device’s ability to recognise locality. Consequently, websites that fail to take into account local search traffic will begin to slip from view. Don’t let that happen to your car dealership’s website – invest in local SEO now.